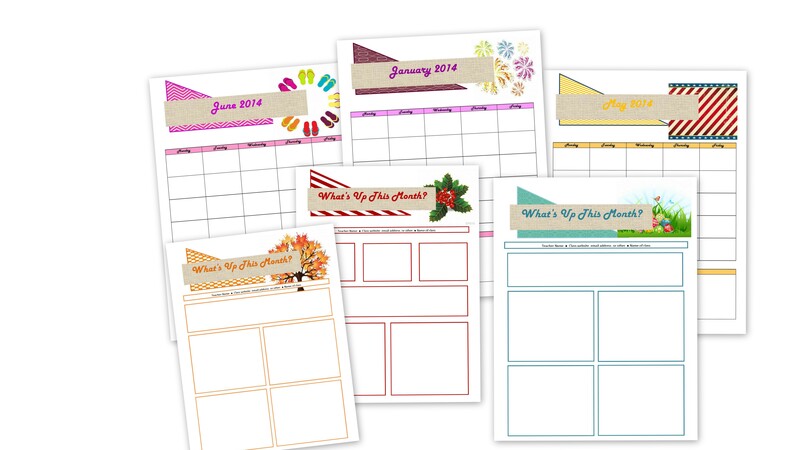 These are great templates to use to save time and help students keep up with what’s going on in class! Each month, on one side, you can provide the students with a monthly newsletter detailing all the upcoming events and important information. On the other side, you can provide them with a calendar to track assignments, projects, special events, homework and more! To add text to boxes, just right click, select add text and start typing!